Industry 4.0 is a fourth industrial revolution, which connects digital technologies with industrial processes, logistics, products, and services. It is fueled by robotics, AI, smart manufacturing and Internet of Things (IoT). The first industrial revolution was of Factories, came in the late 1700s, the second industrial revolution was of Automobiles, occurred during the early 20th century and the third industrial revolution began after World War II, the era of Computers. As a result of these industrial revolutions, companies started manufacturing products at a faster rate with higher quality and consistency. Industry 4.0 (smart manufacturing) enhances global manufacturing by using IT, big data and best-operating technologies. It aims at giving manufacturing industry improved and quicker production of products with higher safety. Smart manufacturing (Industry 4.0) is the current phase of manufacturing industries, which constitute high usage of the industrial automation solution, robotics, device connectivity and exchange of data. It is an integration of traditional manufacturing processes with new industrial tools, smart devices, and technologies to speed up the manufacturing operations. The adoption of Industry 4.0 helps manufacturers to enhance machine-to-machine communication, monitor processes and resources, improve the overall safety by providing connected and productive manufacturing. 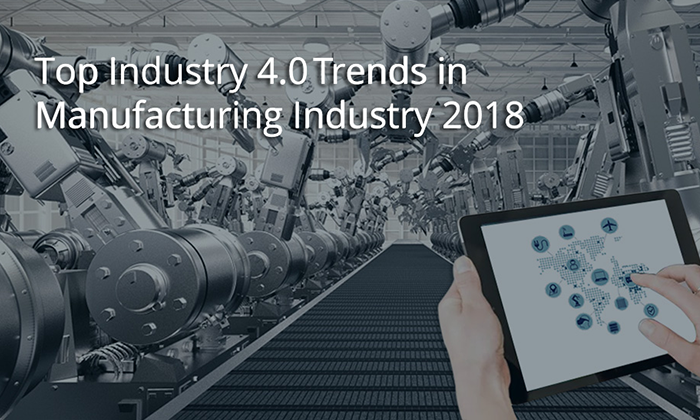 According to experts, Industry 4.0 is all set to change the face of global manufacturing industries with different trends and technologies that will impact the way industry will operate for next few years. Manufacturers are using cloud computing to transfer data from one point to another in no time. Through big data, manufacturers can monitor their supply chain much quicker and with ease. Solving customer queries and keeping track of materials and deliveries has become much easier. Companies are installing sensors in machines to do things like record and analyze statistics, convert data, give feedback and communicate with other machines. “IoT functionality enables machines to perform many tasks like - track and study production quotas, create models of machines needing maintenance, and also consolidate control rooms. Machines can self-report problems, give insight on ways to enhance the performance. Also, they can generate feedback on product performance and consumer usage. According to experts, companies those are using analytics likely to see a high rise in their revenue, improved customer satisfaction, and product quality. Predictive maintenance is a technique which is used to predict the condition of in-service machinery or equipment to determine when maintenance servicing or maintenance of equipment is needed. To put it in simple words, predictive maintenance or condition monitoring is an Industry 4.0 software which informs manufacturers about the condition of their current working machinery. 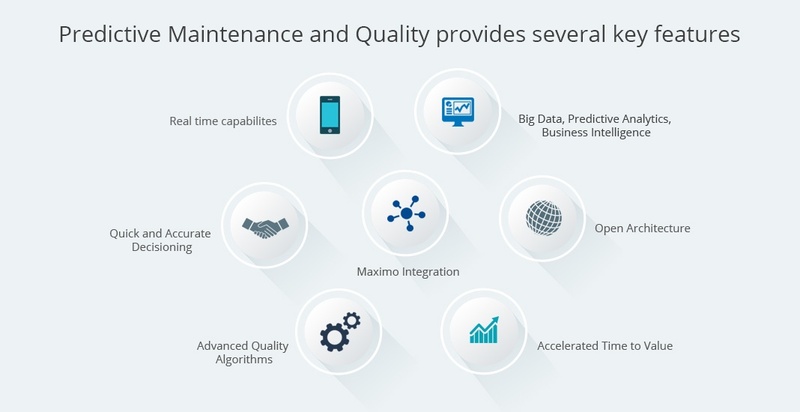 Predictive maintenance ensures that a machine is repaired when it is needed. It's of no use to repair a machine when it is too late (after it stops working) or when it is still working ( still in good condition). The right time to repair a machine is when faults start showing or when the failure is near. Condition monitoring/predictive maintenance helps in increasing the productivity of the machinery and reduces maintenance costs by integrating sensors into the machines. These sensors constantly monitor the performance of equipment and keep you updated with their condition. It also gives you production status and data that can be recorded and transmitted in real time to the cloud for condition monitoring analysis, to give you the solution for after-sales maintenance. These data are not only confined to the control station. Manufacturers can access these data on any platform and anywhere - from smartphones, tablets to bigger screens, both in the cloud and on the production floor. According to World Economic Forum and the consultancy Accenture - when maintenance and repairs of machinery are planned, it can help manufacturers in doing cost saving up to 12% and avoid loss of approximately 30%. Companies are using this software to foresee when the breakdown of equipment might arise and carry out required maintenance to prevent machine breakdown. This helps manufacturers in saving servicing and maintenance cost and protect themselves from the disruptive production process, which can be hazardous if the machine stops working during the production process. You might be thinking, these data may be hard to understand and need proper training and qualifications. Well, it's not hard like you think. Data is assessed by using highly customized rules, and analysis of data is easy to understand for maintenance staff and production planners. This software is designed keeping in mind basic requirements of staff working in manufacturing companies. According to Digital Journal- The Global Machine condition monitoring market is expected to grow USD 2,916.54 million by 2023. These data show how aggressive marketers are using condition monitoring in the manufacturing sector. Digital twin enables companies in performing various activities like - simulation, testing and optimization in a virtual environment before actually dedicating resources in the real world. It provides the comprehensive outlook of the project to the manufacturer during the entire span of the product life-cycle. 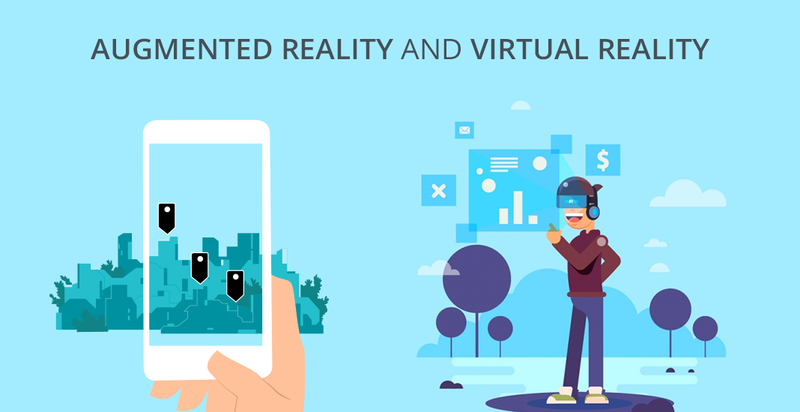 Augmented reality (AR) is an amplification of real-time display with computer-generated sensory input such as images, videos, and graphics, or GPS data. AR is more related to the physical world and is more about smart manufacturing. The use of AR can speed up entire production chain - from customer inquiry to development, production, and delivery of the product. VR aims to give rapid and flexible production. Due to soaring competition in the market, it is easier to take your product in the market through virtual manufacturing. VR provides the virtual landscape for manufacturers where they can see their product, how it will look without actually manufacturing it. It saves time and cost of manufacturing companies and helps them in making better quality products in less time. Virtual reality/ augmented reality in Industry 4.0 bridge the gap between physical/virtual/ digital and cyber world. AR and VR increase the efforts of manufacturing industry and its components - factory planning, production and machining, assembly, testing, digital prototype, and security, etc. towards the digital transformation. AR and VR help companies keeping track of their manufacturing processes and production activities. AR and VR can also improve the performance of staff and service people by giving them required information which is easy to understand and access. This helps manufacturers in optimizing and enhancing their machine productivity - it's quality, quantity, flexibility, and speed, hence improving the overall ROI of the company. According to Grand View Research, HMI market is expected to reach USD 6.31 billion by 2022. HMI constitutes hardware and software solutions which are used in industrial machinery. HMI is used where human involvement with a machine is required. HMI uses connected devices, sensors, smart devices, machine learning, wireless systems or any other technology for collecting data, data sharing and visualization of industry information through data shared on the cloud. Both stand-alone and embedded HMIs helps in monitoring and improving the working of factory plants as well as process, hence enhancing the overall efficiency of the manufacturing unit. Robots or autopilot is on the verge of revolutionizing manufacturing industry. Every passing day they are becoming faster, smarter and cheaper and that's the reason why many companies are implementing robotics in most of their work. They are acquiring more human capabilities such as memory, sensing, trainability, etc. As a result, companies are giving them more jobs like - picking, testing, and packaging of products, inspecting and assembling, etc. Approximately 50% of manufacturing activities are already fully automated in various companies. Automation of manufacturing process provides a level of productivity with accuracy which is beyond human ability. Autopilots can work in environments which are considered unsafe for humans.The new generation of autopilots and robotics is way easier to use than to program. They work according to your command, precisely what you ask them to do. Maintains the quality of products all the time. 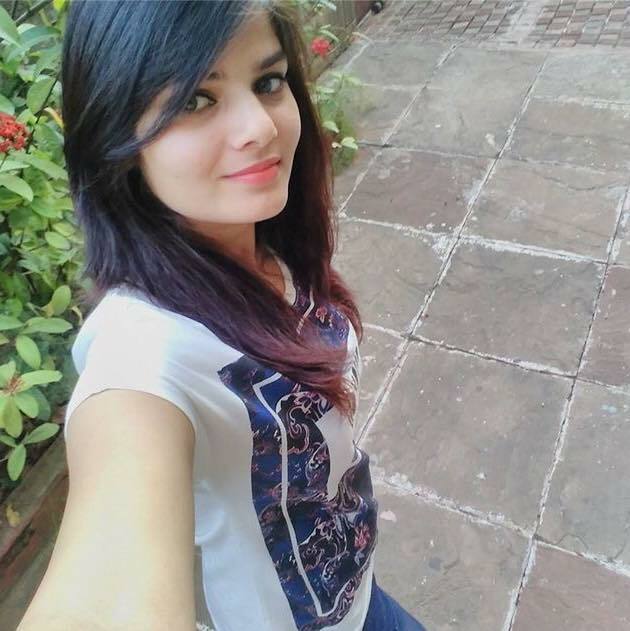 Considering the trends and technologies of Industry 4.0 mentioned above, it is very important that manufacturing industry should embrace the positive disruptive changes that smart marketing (Industry 4.0) can bring. Using Industry 4.0 will increase the efficiency of the manufacturing process as well as save money and translate into more profits, more jobs, and healthier economies.